THE 2016 presidential elections has descended upon us and depending on who you’re supporting for President, you’re either glad there’s still plenty of time to catch up or, if you’re a Binay supporter, you’d wish tomorrow were election day. Lately, there’s been more than just jabs thrown at each other by the aspiring candidates for the two highest positions in government. It would be best to take comments, statements, and remarks coming from them and their backers with a grain of salt. They will be formulated with an eye on 2016 but expect none of them to admit that. It’s “positioning” time and politicians are negotiating with political parties — which are nothing but convenient groupings devoid of any shared beliefs among its members — that could be an appropriate and helpful vehicle in their quest for higher office. One early bird Presidential Candidate has opted to establish a brand new party of his own that he could lead in the coming polls. Political parties on the other hand are looking for winnable presidential candidates that they may adopt or coalesce with, so as to be the party in power should their candidate make it. The equivalent in politics of the so called “oldest profession in the world” has now come alive and kicking in the Philippines. Our apologies to those in that “oldest profession” who have felt insulted and have responded that they may be what they are but they do have scruples whereas politicians don’t; a valid argument, indeed. But we digress…. This early, or before it gets too late, what should be of prime concern is the kind of voting system we are to implement in the coming elections. In fact, Comelec has scheduled for the end of this month the deadline for choosing the kind of Automated Election System (AES) to be used in 2016. By law, we are not to go back to the manual system we’ve had in all the elections prior to 2010, marred as they were with various ways of cheating evolving to the “dagdag-bawas” modus operandi that came about in the 90’s and was supposedly used all through the rest of the succeeding elections. The 2010 automated election was a shock to many for its speed in knowing the winners in less than a day after the voting precincts had closed. From a week or so that it used to take us to know the results of the elections at the national level, it now took less than 24 hours. It was amazing to say the least, but devastating for some of the election “operators” that had made a killing facilitating the “doctoring” of results in exchange for hefty sums of money coming from candidates, election after election in the past. Suddenly, their “profession” had become obsolete overnight. Presently, what we have are Comelec owned machines used in the 2010 and 2013 elections which Comelec purchased from Smartmatic, an international company that also does business in other countries — the US, India, Brazil, Belgium to mention a few — providing them with election systems suitable to their respective needs and more importantly, credible to their people. As far as the Philippines is concerned, it was noted that foreign observers lauded the credibility of the automated elections of 2010 finding no cause for alarm in contrast to previous manual elections. Filipinos themselves seem to have been satisfied with the results and the winners have assumed their offices with clear mandates, absent of doubts or suspicions by the large majority of voters. It would be accurate to say that there has been no valid and credible challenge made against the outcome of the automated elections of 2010 and 2013. Invariably, there are the usual and expected poor losers that would never concede defeat in any kind of elections, even one sanctioned by St. Peter and the Heavens. What then is this “Hocus PCOS” we hear about and what is it insinuating? That’s a good question because the people using the term (from: “Hocus-Pocus” or “magic”) that suggests electronic or computerized cheating, are actually reasonable people and not your “sour-graping” politician. However, we still have to see incontrovertible evidence showing that there was indeed some hanky-panky done wherein the machines reflected a result that was not the will of the people. 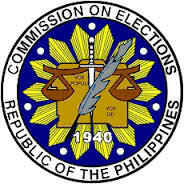 It behooves the complainants to show evidences, if any, of cheating done by “programmed” PCOS machines that are now owned by the Comelec and ideally, could be used again for the 2016 elections, with certain upgrades and improvements in both the software and hardware, as will be seen fit by the Comelec. 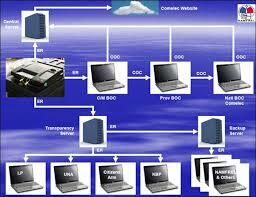 These machines are said to have a life span of up to 20 years when provided with good maintenance. Acquiring a new system might prove to be too expensive and we would have wasted the time and effort spent in familiarizing our Comelec officials with the inner workings of the machines and its software. The same goes for the voters who initially experienced “machine fear” but are now comfortable and familiar with them. We believe that an upgraded, tweaked, and well maintained set of PCOS machines that we’ve already paid for, and which wasn’t cheap either, would be the most suitable option to take, not to mention the most economical and practical. Now is the time to make sure both software and hardware are upgraded to address whatever issues there still are and make sure these are all done transparently and on time for the elections. We can’t afford a “bukas na lang” or a “last minute” mentality with this one. If we’re so passionate about our choice of candidates, that would mean nothing without a credible and efficient Automated Election System. 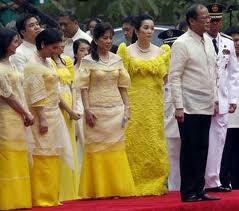 THE way we see it, President Aquino is not bent at all on staying in power beyond 2016. He’s been talking about his retirement since his first year in office and, already, with a longing to get out of it and be laid back again, or whatever. So it’s not only because of not wishing to besmirch his mother’s legacy of one who relinquished power in accordance to Constitutional term limits but because he never did want to be President in the first place. We are all agreed that his presidency was accidental in that one can never really predict the time of death of any person and the same was true of the death of his mother. PNoy never wanted to be head of an organization, be it private or public, and certainly not head of the entire government. Otherwise, he would have been head of “something” already given the resources of his family and being the only son and namesake of his father. But he was not, and is not, inclined to be top-honcho of any significant entity so, put simply, he was never at the forefront of anything throughout his life. This is not in any way to put him down; this is just what it is. In fact, he may be the wiser one for not wanting the thankless job of President of this country unless one has plans of stealing. In the matter of creating laws, the record will bear us out that he likewise had no strong liking for it as can be gleaned from his 12 year stint in both houses of Congress. Looking at his experience in the Legislative Branch of government, again, there is no indication whatsoever that he had any intentions of leading as Speaker or Senate President. So what’s the beef behind this hoopla of taking a potentially damaging stance regarding “charter change” by virtually announcing his readiness to run anew in the 2016 presidential elections, a legal “no-no” in the context of the “Cory Constitution” no less. Ploy. It’s called getting Binay out of his enviable position of defender and alter-ego of PNoy while simultaneously being the de-facto head of the opposition. It’s an improvement on the old political adage coined by Amang Rodriguez, “politics is addition.” In Binay’s case you could say it’s “politics is multiplication” and that pisses the hell out of Secretary Mar Roxas and other Presidential hopefuls. Their other option is to physically place Binay with the opposition who have been charged with plunder and are now in jail; hence, the “over-pricing of a parking building” charges against Binay allegedly committed while he was still Mayor. 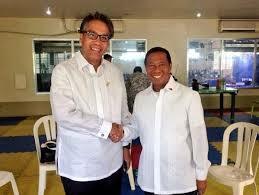 The general plan is to force Binay out of the Cabinet for “not being in harmony with the President’s “cha-cha” intentions” and place him in direct opposition to the “likely” administration candidate for 2016, no other than Mr. Noynoy Aquino. 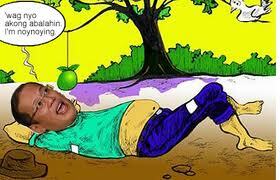 The switch from Noynoy back to Mar will come later. There will be no such thing as PNoy for the top seat after his term ends in 2016. It just doesn’t jive with his personal history.